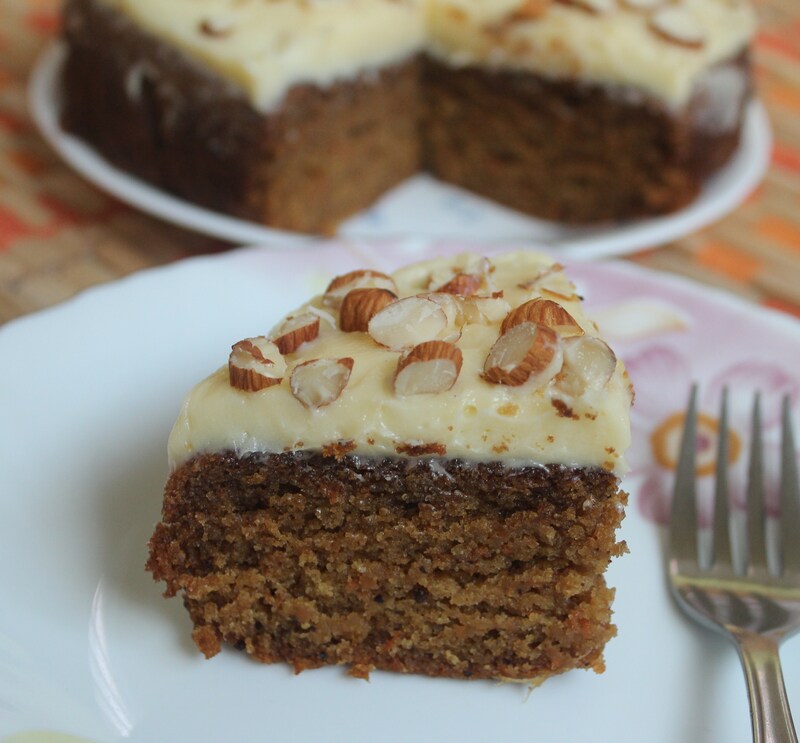 Carrot Cake is something special for various reasons- it is a healthy one as it has carrots and has a distinct spicy flavor with cinnamon and nutmeg. I remember baking carrot cake once or twice when I was young, when I didn’t know it was a winter cake. I also firmly believe climate and craving can be diagonally opposite to each other. 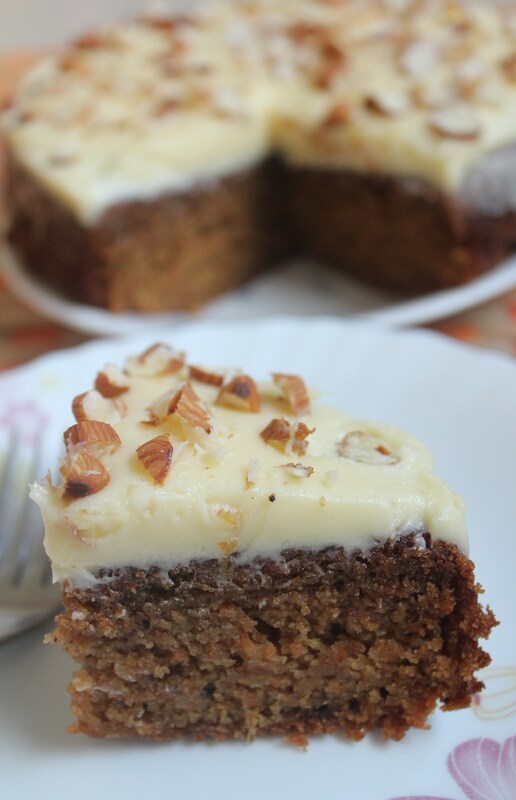 Now, how can I bring in winter/snow to Chennai to bake my carrot cake… then I would never have tried this wonderful cake. Remember, I come from Tamilnadu,a state where thaathas (grandpas) and aachis (grandmas) use their mufflers and pull overs for their early morning walks or temple walks, only in Maargazhi Maatham (the tamil month of Maargazhi) – mid December to mid January, when the early morning temp. would be just below 20 degrees. A report recently released by the Regional Meteorological Centre, Chennai, said the actual minimum temperatures fall below 20 degrees Celsius during January and February. At times, the actual minimum temperatures varies 2 to 4 degrees Celsius below normal values. Records of the past 25 years show there is a gradual rise in minimum temperatures over Chennai ranging between 17 and 20 degrees Celsius. This is what winter means to us the Tamils! 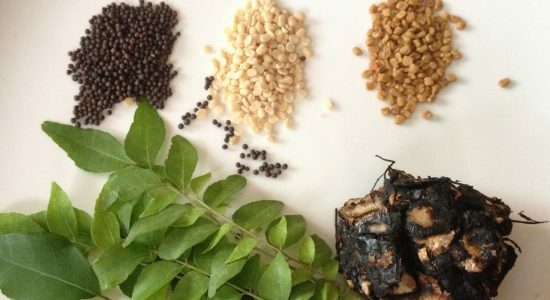 For more on our seasons – see dosaikal.com/thai-pongal-the-harvest-festival/. read the headlines of Cambodia Daily. When I tried as usual to make this cake a 100% whole wheat, eggless, butterless cake, it was a heart breaking flop consecutively 4 times. My desperation has no words to express that I even tried baking twice a day the same cake (of-course wasting nearly 200 gms of flour and other things twice in the same day . Thanks to my better half who never mentioned a word on wastage!). And that I tried converting the flop carrot cake into carrot cookies is another story. The cake looked great from the outside – but was pudding like in the inside. Tried with crushed pineapple and once without the pineapple. One thing became sure – the cake was becoming too moist with yoghurt as substitute to eggs. Mixing all the wet ingredients – oil and yoghurt to sugar as first stage was making the mix more watery. So, adding pineapple created more problems. Then I came across a few recipes – some vegan, some with all purpose flour and a few egg-less but with butter. A very few had a difference – where the dry ingredients were taken first and then the wet ingredients were added one by one to be immediately spooned into the cake tray and baked in the oven. By this the batter remained intact and didn’t let sugar and yoghurt and oil to become watery. I decided to give this a last try. Hurray!! 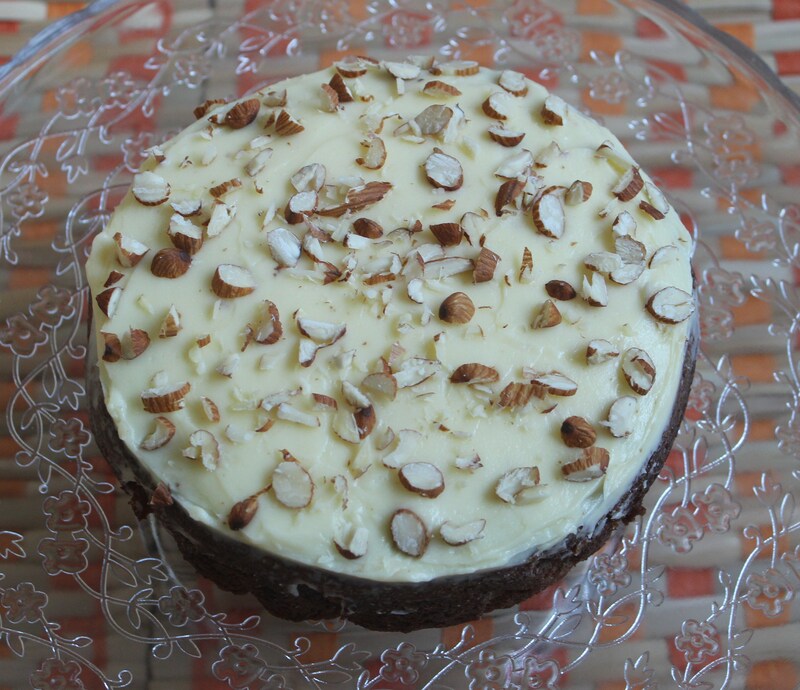 This method worked well and my long awaited Carrot Cake was delivered in great shape! Because of the continuous flops, I went in for a smaller cup size. Bake for 40 to 50 minutes or till a tooth pick comes out clean. Carrot Cakes look great with Cream Cheese Frosting – as a family we would prefer a plain carrot cake and avoid the sweet frosting. Still for the great experience of making a frosting and my latest culinary interest – please do bear with me.. my dear friends! Arrange chopped almonds or any other nuts of your choice or decorate as you wish. Egg-less Whole Wheat Carrot Cake with Cream Cheese Frosting is ready! Cake seems to be delicious and healthy. I would like to bake it for my vegan friend. Is it possible to skip Curd? Vegan cakes can be baked with soya milk or coconut milk as substitutes. There are also cakes with only water for the consistency with no milk or soya milk. They raise with baking soda alone. 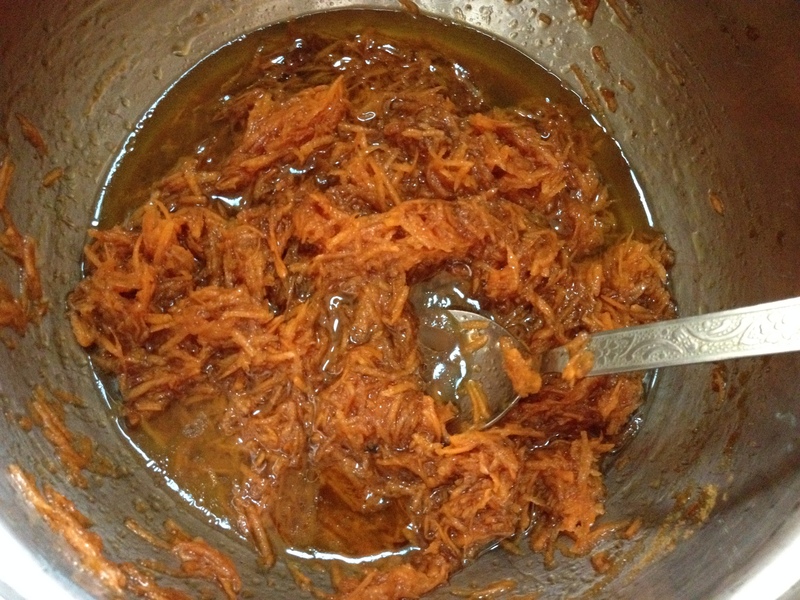 My recipe as I had mentioned becomes a bit watery with oil, sugar and grated carrots – hence I added the yoghurt in the end. You can try adding a 1/4-1/2 cup soya milk instead of yoghurt in the end, to bring the batter to a spoonable consistency. Or even lesser soya milk or just water for consistency. I think the quantity of baking powder or soda should be sufficient as already there is 1 tsp of each. I think this should be of help. Let me know Sanju. I shall also try to bake in the coming week! Hi Lakshmi. At last, first time in my life I could make carrot cake with wheat flour, eggless and butter less. 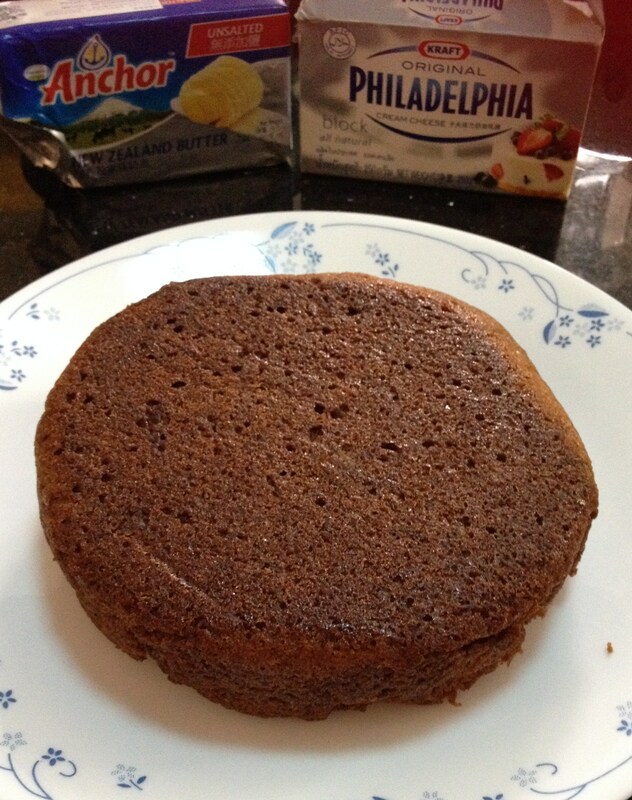 First healthy cake which I made with your inspired blog healthy way of baking cakes. Sraavya and Kaavya liked it. I was worrying throughout when it was getting baked. Wow what a joy finally! I could make it. Thank you dear for the lovely recipe. That’s wonderful to hear Swarupa. I am truly very happy and proud of you. I tried your apple cake and it came out yum! Is this cake slightly crumbly? I have observed that eggless cake tend to crumble while slicing. Hi, there may be a few reasons for the crumbly texture of cake – too much sugar, high temperature while baking, the cake tin being bigger than required. The yoghurt in the batter should take care of the moisture in an Eggless cake though. I recently watched a video which says cake is actually done before the tooth pick comes out clean. The tooth pick method makes a cake dry. Might be we try out these for a better cake. But, my apple cake wasn’t crumbly. oh ok. carrot cake wasn’t crumbly.. it has yoghurt to keep it moist. Try and let me know.